Foodies, there's a new resto-lounge on the block and you are gonna love it for its reasonably-priced gourmet food and amazing drinks. Tipsy Turtle in Bavdhan has opened its doors for the food connoisseurs of the city. 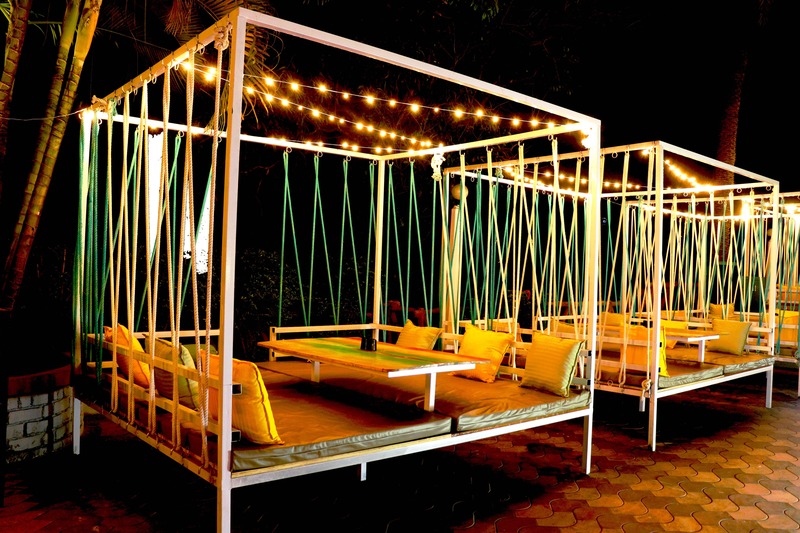 The place is beautifully done-up and we feel the outdoor setting makes for a super-romantic spot for a date with your bae. You can opt for a poolside seat or a private cabana. They also have a chic seating by the bar. Indian, Italian or even Chinese- the place has a lavish spread of dishes. We recommend you try the Italian and Indian dishes as the place specialises in it. Be it kebabs, pastas, spaghetti or even casseroles, you can enjoy it all along with cocktails or hard-drinks at reasonable prices. If you are a fan of seafood, they have several options in them as well. There is live music to make your dining experience more fun. We suggest you look forward to the DJ nights. You can organise small functions and get-togethers as the place. It also has a mini banquet hall with a seating capacity of 50 people. The place is fabulous. However, we want them to add more fusion and innovative dishes in their menu.